We are pleased to invite you and your colleagues to our first 2019 Investor Conference. 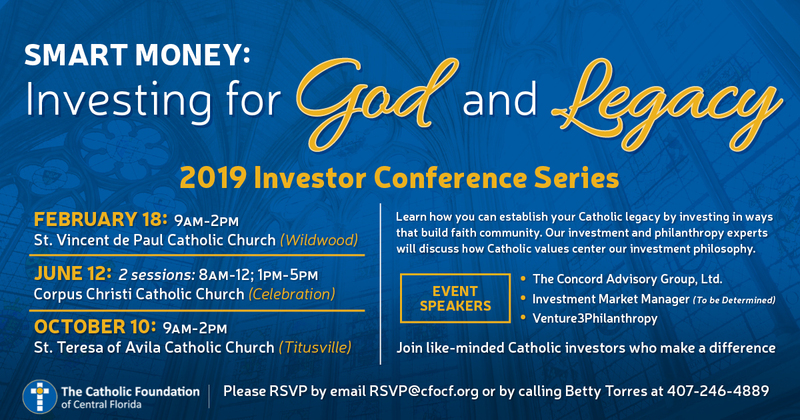 Our expert speakers will share perspectives about the 2019 economic outlook, faith-based investing and social screening, and family philanthropy. To register for the conference, please make your selection below.